– it is a lifetime in a day. A Life Celebration Display is as unique as the life it honors, specially co-created with your family. It is an opportunity to share all the wonderful things which made your loved one special. Gather photographs, memorabilia, shared memories and passions to acknowledge their life and truly share their life story. If you need assistance bringing items to the funeral home or other place of service we will be happy to help. There is no charge for this service. 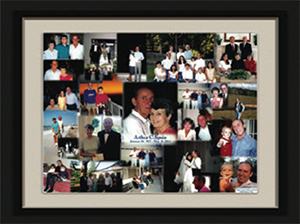 A Life Celebration Photo Collage is a time capsule of memories and a wonderful way to tell a story. Sorting through photos provides an opportunity for family and friends to remember, laugh, cry and reflect on special moments. We’ll use your photos to create unique and memorable collages, service folders and thank you cards. 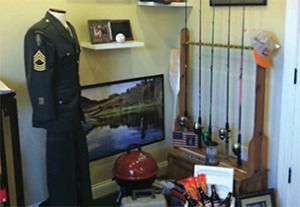 These items are included in all our funeral and cremation plans at no charge. A Celebrant can create a truly unique service, working with the family to gather memories, personal stories, visual remembrances and anecdotes, either at the funeral home, your home or your loved one’s home. The celebrant will assist with selecting music, readings, prayers, ceremonies and rituals, crafting a unique, personalized tribute designed to honor your loved one and allow time for grief, healing and celebration of life. The celebrant will write the eulogy and deliver it at the service and will provide a keepsake copy of the service for you. This service is provided at a reasonable charge as shown in our price list. Reception – Our beautiful reception area is available to your family and friends prior to or following the funeral or memorial service. 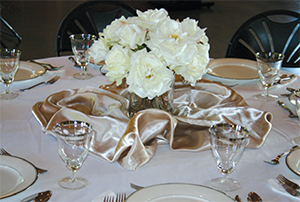 With full catering, families like yours can enjoy a convenient funeral luncheon, visitation dinner or special gathering right on premises. View the video below to learn more about our path of life approach to planning a unique tribute.